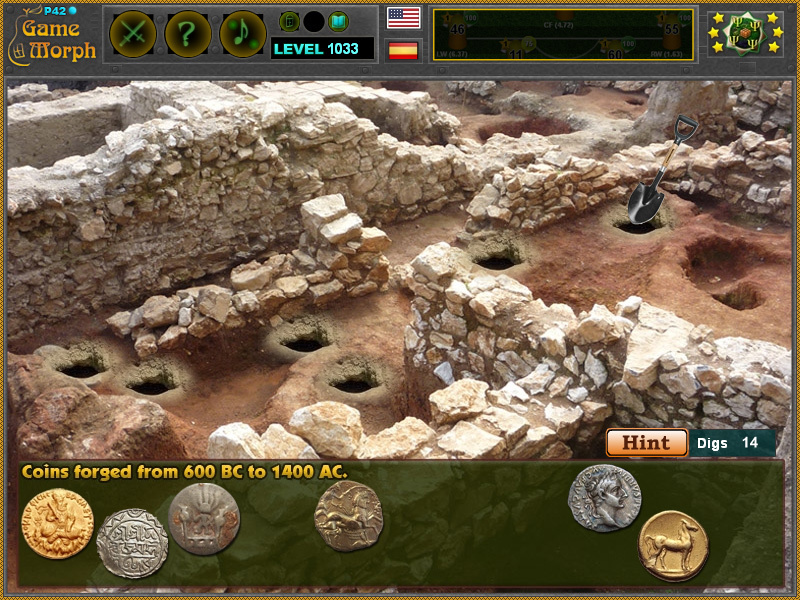 11 precious coins from ancient times minted by different civilizations in a fun online archaeology learning game. 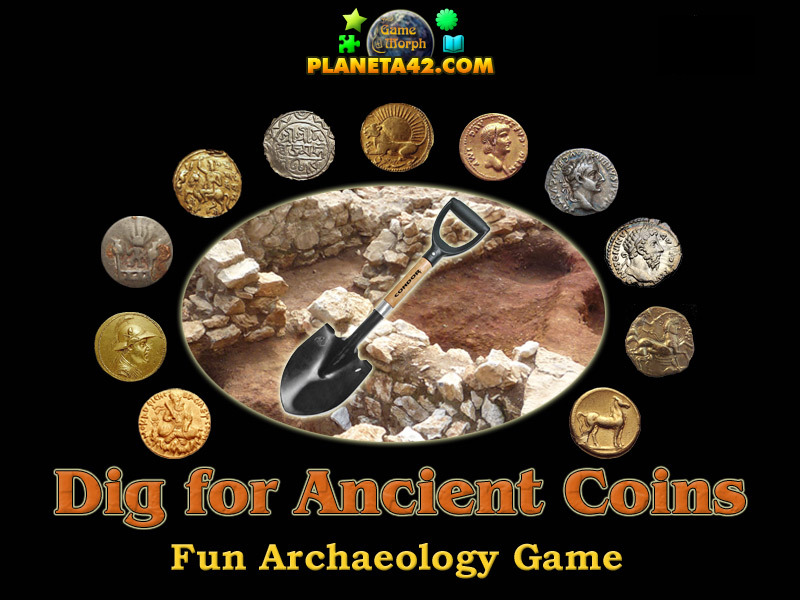 "Dig for Coins Game" is a free online knowledge level game, to excavate 11 coins minted by ancient civilizations. A small point and click game for desktop computers, laptops and tablets, which may be played in the web browser. The Archaeology Knowledge Board include pictures of 11 precious coins from ancient times, to play with. How different coins from ancient times looks like? What are the types of coins? How to play Dig for Coins Game. Like all excavation games, there is one settlement archaeological site with hidden coins under the surface. You must search the ruined settlement by digging suspicious locations with the shovel. There is a one time usable hint to show the hidden coins locations for 2 seconds. Know at least 5 ancient coins. The history of coins extends from ancient times to the present, and is related to economic history, the history of minting technologies, the history shown by the images on coins, and the history of coin collecting. Coins are still widely used for monetary and other purposes. Coins were not invented until well after the Phrygian kingdom collapsed. There were some pre-coin types, with no recognisable image, used in the Ionian city of Miletus and the island of Samos but it is noteworthy that the coins from Cyme, when first circulated around 600-550 BC, utilised the symbol of the horse - tying them to the house of Agamemnon and the glory of the Greek victory over Troy. 2. Stater Greece Coin - circulated from the 8th century BC to AD 50.